Artist Jodi Harvey-Brown has always loved books and getting pulled into new worlds through the process of reading. Her motto is, "The books that we love to read should be made to come to life." 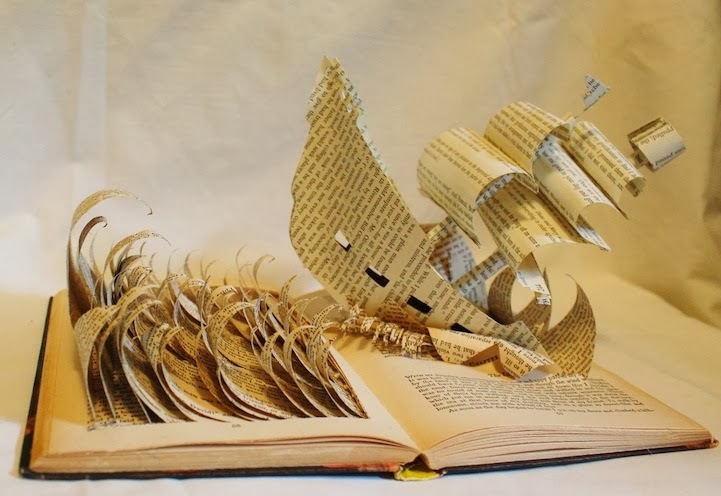 And so, she creates elaborate and complex sculptures from which the stories emerge directly from the pages of a book, springing to life before our eyes.